There was an article on Forbes today about the good news and bad news on the real estate market nationwide. It seems that we need more housing stock to keep up with the growth in population. And it’s even worse in the hottest local markets. Arch MI, a leading mortgage service provider, recently reported that we might be short 1 - 2 million homes nationwide. While this is new news to many Americans, it’s an old hat for those who have been following what I’ve been saying for a few years now. Nashville was on the leading edge of the recovery, and our housing market got started much sooner than other areas. 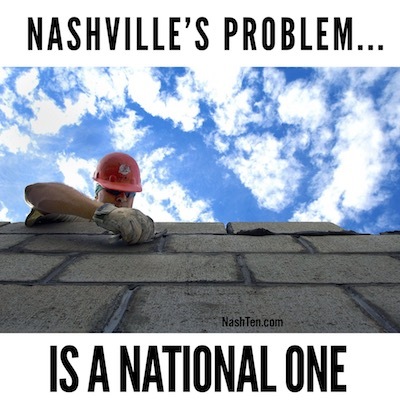 While Nashville is starting to bridge the gap with new home construction, most cities are 1 - 2 years behind us. They still have to make it through a few more years of struggle until homebuilders can start to catch up to demand. While Nashville is not out of the woods yet, I think we are well positioned to keep moving in the right direction. One of the big concerns was that Nashville would lose jobs (and people moving here) to other cities due to the tight housing market. And that it would slow down our recovery and growth. I felt the same way until I started hearing my colleagues across the country struggling with the same issues shortly after we experienced them. To me, it’s amazing that we are only down a few million homes, as the homebuilding industry was at a standstill here for nearly five years. When you look at new construction statistics showing that 1.3 million units per year are currently being started, you might think this is an easy problem to solve. However, not all of these units are adding to the inventory available to homeowners. Some are replacing older homes close to downtown areas. Others are built for corporations who instead rent them out to consumers. And some in large neighborhoods take years to build out. Plus the population keeps growing. I’m guessing by the time we start to get caught up on inventory nationwide, it will be time for another recession. Even in a recession, I’m not worried about Nashville. We have so much going right for us that we will be able to bounce back quickly. Just like we did after the mortgage crisis. If you are concerned about what this means for you and your family, then give me a call at 615-519-0983. 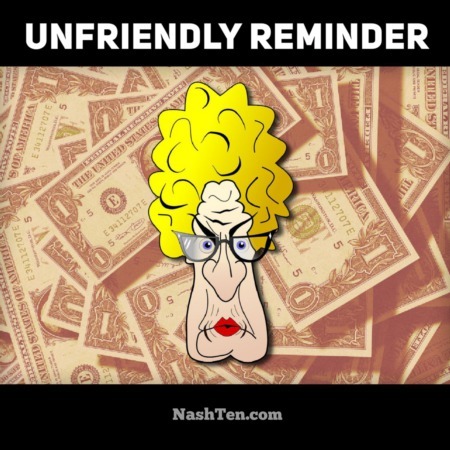 I’d love to listen to your concerns and answer any questions that you have. 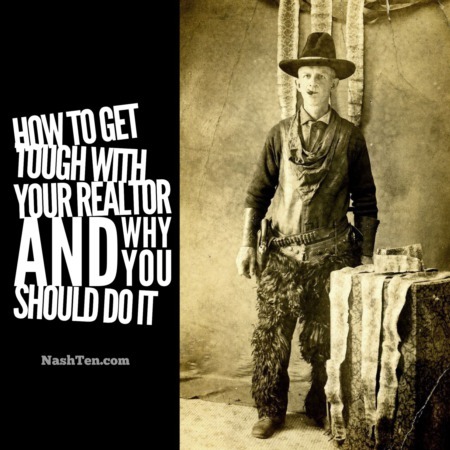 Even if you have no intention of selling your home. The Daily Deal in Nashville is this brick 4 bedroom home in Inglewood[East Nashville], that was previously used as a Short Term Rental, and is currently listed for less than $400,000.